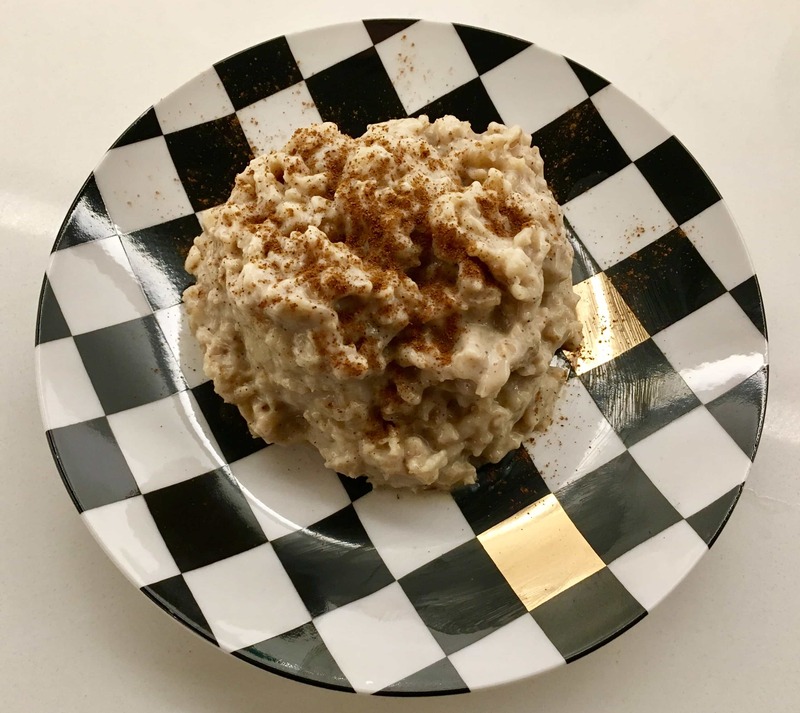 If you’re Puerto Rican, you know there is nothing more comforting that a nice warm bowl of avena de coco (coconut oatmeal) in the morning. If you’re not, you’ve probably heard of it! The problem is that a regular bowl of Puerto Rican oatmeal can cost you a whole lot of calories and sugar. Not to worry! 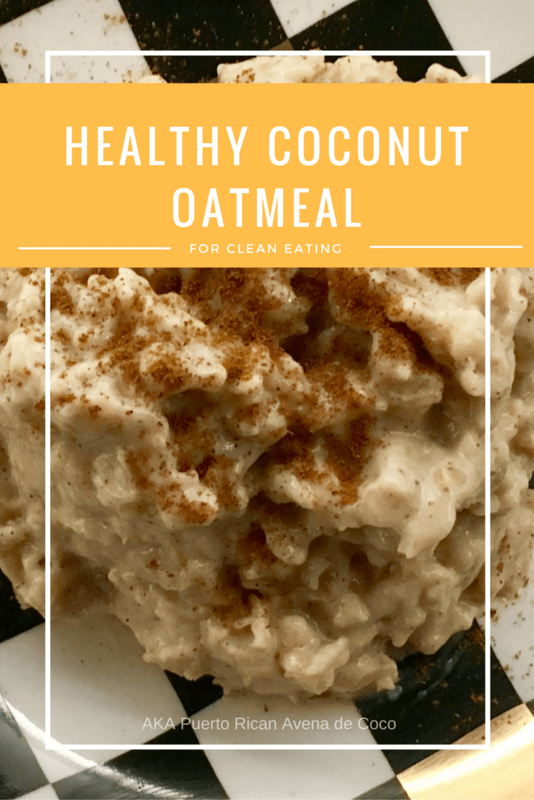 That is why I’ve come up with a healthy coconut oatmeal for clean eating that is the perfect alternative to avena de coco. You can literally have this every morning if you wanted to. Especially if you’re breastfeeding, since oatmeal helps with milk supply! 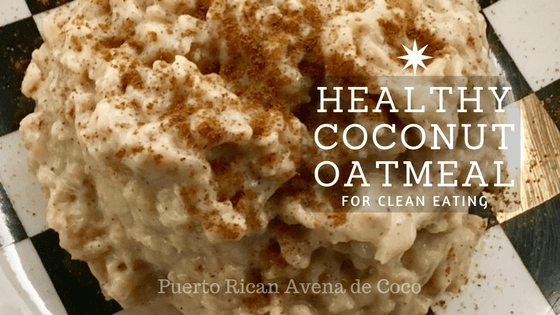 What makes this healthy coconut oatmeal great for clean eating, unlike avena de coco, is that we are replacing the bad ingredients with clean ones. 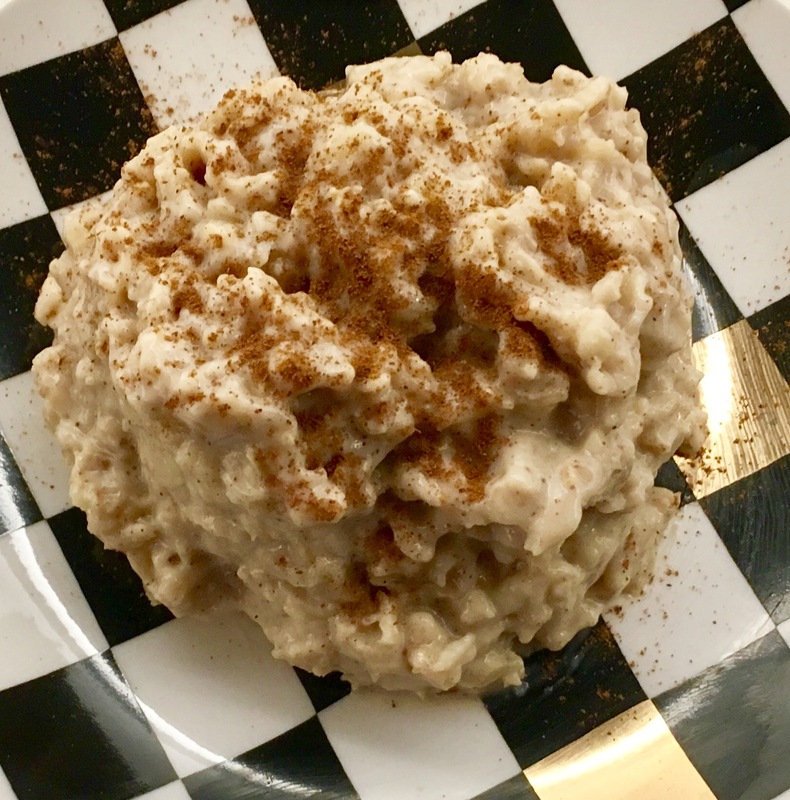 Avena de coco (Puerto Rican oatmeal) is filled with regular milk, cream of coconut and lots of awful-for-you-table-sugar. In this recipe we use coconut milk instead of regular milk & cream of coconut. 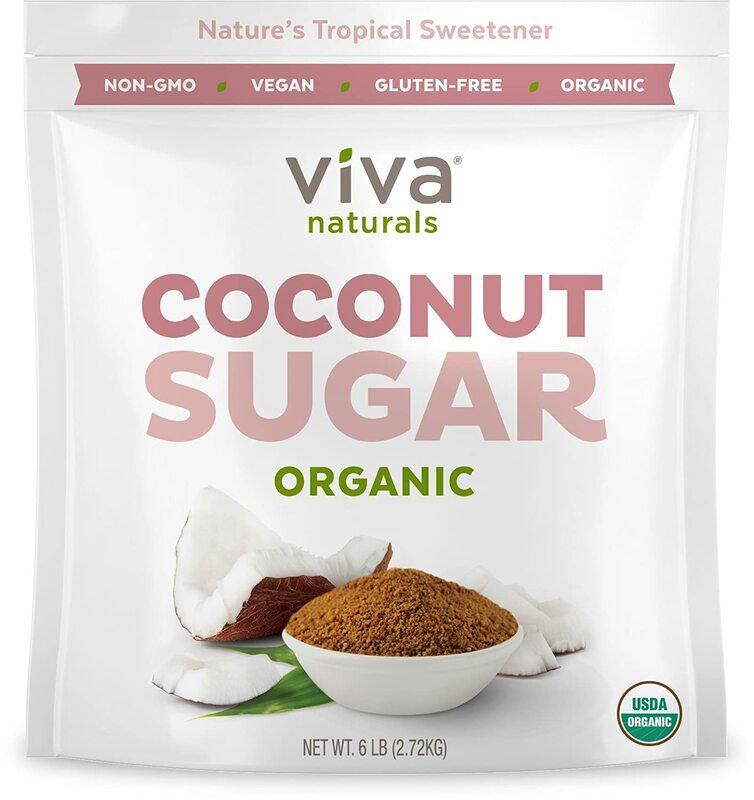 But the biggest key here is using coconut sugar instead of table sugar. Containers: 1 yellow if you go buy Autumn saying less than 8oz of coconut or almond milk is free, 2 yellows if you don’t.